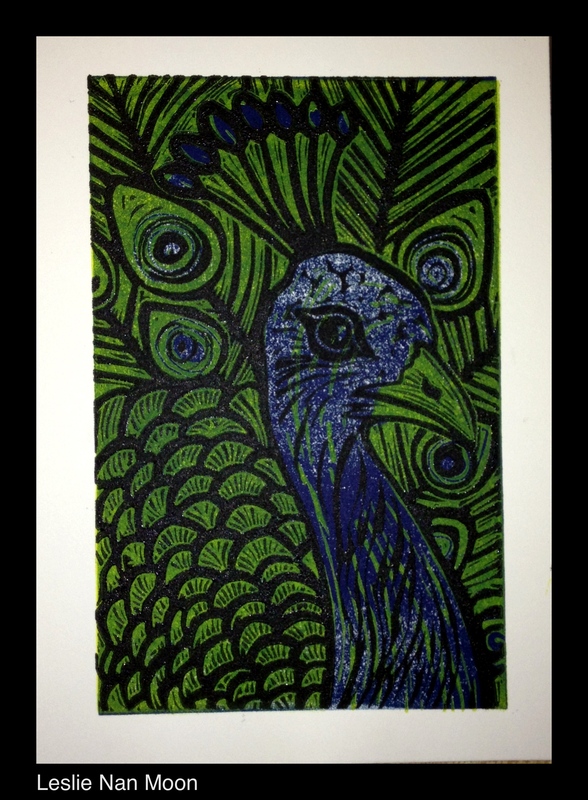 3 pieces of linoleum (2 carved) + printing in 3 colors = One pretty peacock linocut print! I’ve been wanting to carve a peacock and thought it has to be done as a multiple color linocut. I prefer using the method of multiple blocks rather than reduction because I like to have the ability to print the plates in the future with a different color scheme. 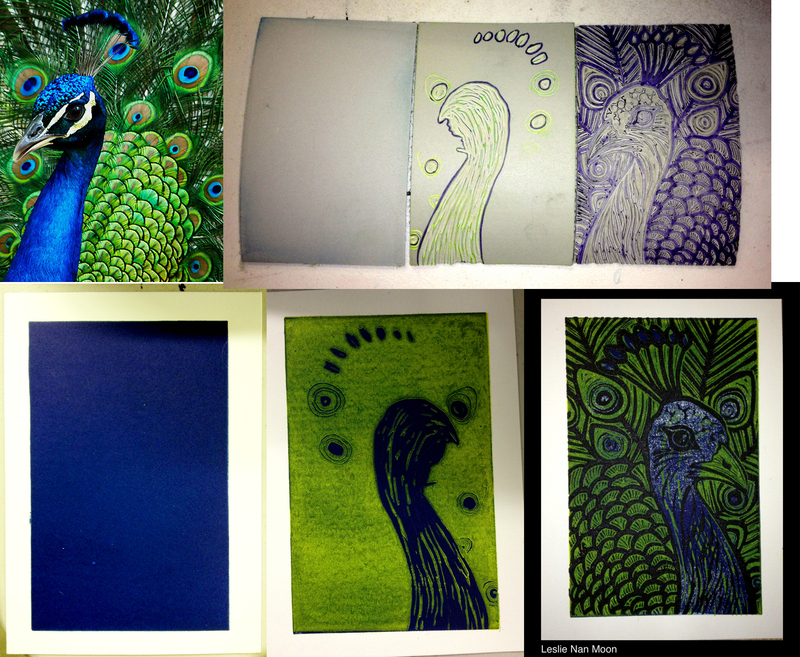 Here’s the peacock photo I used as inspiration, the blocks I carved (although the blue block was left solid and I have some variation in the density of the blue until I got what I was looking for) and the final print after printing 3 colors (first blue, then yellow, then black). I printed 15 and will have an edition of 10 with 5 artist proofs. 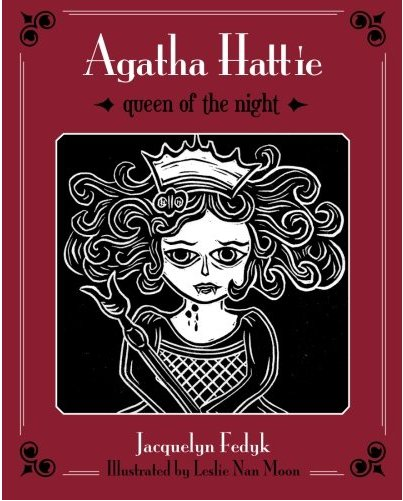 AGATHA HATTIE, Queen of the Night – is now available in paperback on Amazon.com!!!!! 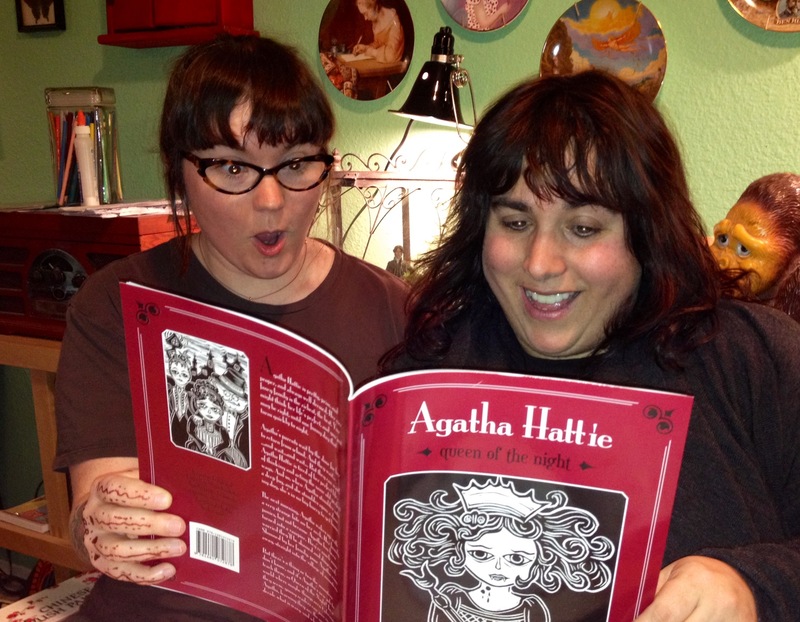 Agatha Hattie Proof is here! We are only a few weeks away from having our book on AMAZON.COM!!!! You are currently browsing the Lesliemoon's Blog blog archives for February, 2013.